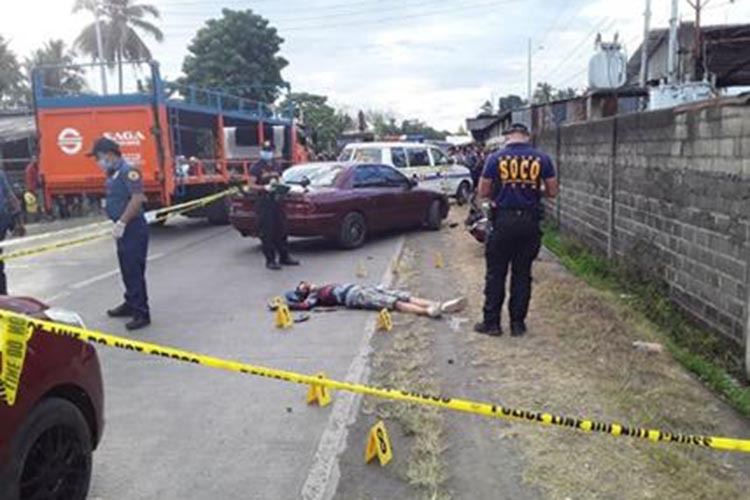 ZAMBOANGA CITY — Two alleged members of a crime syndicate were killed during a “stop and frisk” operation in the province of Zamboanga del Sur, a top police official said Tuesday. Chief Supt. Emmanuel Luis Licup, Police Regional Office 9 (Zamboanga Peninsula) director, identified them as Melvin Louie Bongabong and Ernesto Briones, who have ties with the Parojinog crime syndicate. Licup said Bongabong and Briones, who were alleged contract killers, were killed along the national highway of Barangay Culo, Molave, Zamboanga del Sur at about 2:45 p.m. Monday. He said the men pulled their handguns on the policemen, who opened fire and killed the suspects. He said the police conducted a stop and frisk operation after receiving reliable information that suspects were headed toward Barangay Culo to kill a target. Police said intelligence reports showed that the suspects were affiliated with the Parojinog crime syndicate–in particular the “Quiapo” group–whose members are involved in robbery, car theft, illegal drugs, and contract killing. Recovered from the two slain suspects were two caliber .38 revolvers with ammunition and several identification cards, according to Licup.